…Internships are for students or practitioners of Manual Therapy who want to work closely with Rebecca Welling and Susan Steiner to gain experience and knowledge of water therapy and treating with Dolphins. INTERNSHIP 1: Join Susan and Rebecca during specific Research and Development phases of working with the Dolphins and treating in the water at the Roatan Institute of Marine Sciences, Roatan, Honduras. This opportunity is limited to four interns and will be one to two weeks in length. There is an R&D trip planned for October 2012…the details will be available after May 5, 2012. 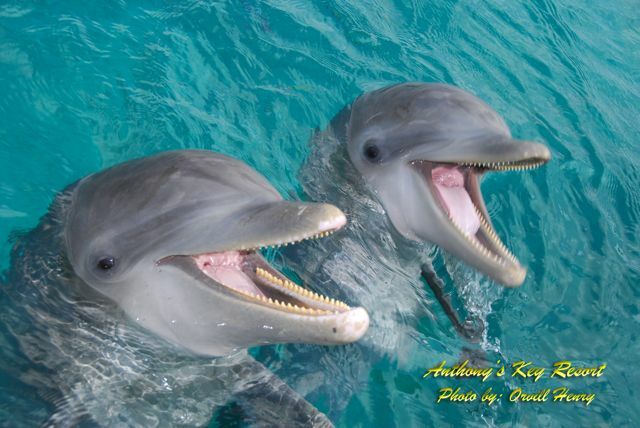 The following are the key features of your Dolphin activities: See Dolphin Programs for a general discussion of these categories and see Program Descriptions for a complete list of inclusions in your entire retreat package. Learning the benefits of doing treatments in a gravity-free type-of environment; … The water gives you three-dimensional freedom. You will be impressed with and discover ways to work with the energetics of the water and specifically the incredible forces of the ocean. Learning how to be with and work with Dolphins in a therapeutic water environment. Improving and refining your palpation skills. Being treated in the water with Dolphins by Susan, Rebecca and the other Interns. Being a therapist and treating others (Susan, Rebecca and the other Interns) in the water with Dolphins. Observing and possibly participating, as Susan and Rebecca work with the Dolphins and Dolphin Trainers. Requirements: You do not need to be a licensed health care practitioner; however, you must have some type of touch-therapy/ body-focused training, preferably light-touch-therapy. You must also have a reasonable amount of hands-on experience. You must be over 18 years of age and be comfortable in the water. INTERNSHIP 2: Work along side with other skilled therapists during a Dolphin Therapy Retreat program. The following are the key features of your Dolphin activities: See Dolphin Programs for a general discussion of these categories. Learning the benefits of doing treatments in a gravity-free type-of environment… The water gives you three-dimensional freedom. You will be impressed with and discover ways to work with the energetics of the water and specifically the incredible forces of the ocean. Being treated in the water with Dolphins. You will receive one treatment. Being a therapist-in-training and treating clients in the water with Dolphins. (Approximately 4 hours per day for four days). Experiencing multiple-hands work during treatments of clients on massage tables, which is important work to support the client’s water treatments with Dolphins. (4 to 8 hours). Requirements: You do not need to be a licensed health care practitioner; however, you must have some type of touch-therapy/ body-focused training, preferably light-touch-therapy. You must also have a reasonable amount of hands-on experience. You must be over 18 years of age and be comfortable in the water. In addition, you must have prior experience of being “the patient”…of being treated in the water with Dolphins…either through some other well-documented program, or by participating in Internship 1, or by participating in our Dolphin Therapy Retreat program.